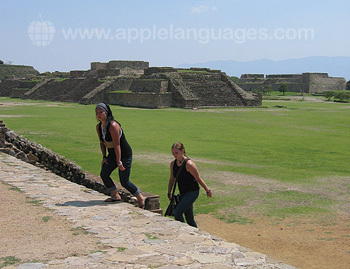 Come and learn Spanish and Salsa in Oaxaca – a city drenched in history and culture. 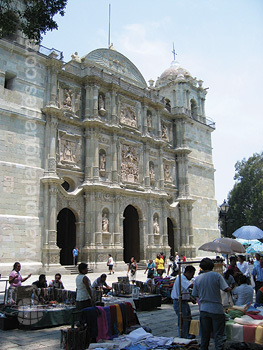 Renowned for its magnificent colonial buildings and prosperous artisan community, you will not fail to be fully immersed in the traditions and customs of this fascinating city during your stay here. 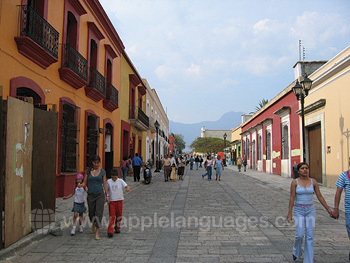 Set within an old, colonial building, our school is situated just a short walk from the main square, with countless bars, restaurants, museums and art galleries right at your fingertips. Our school is composed of 12 classrooms and an impressive central patio – the ideal spot for independent studying or practicing the Spanish skills that you have learned with your fellow classmates! 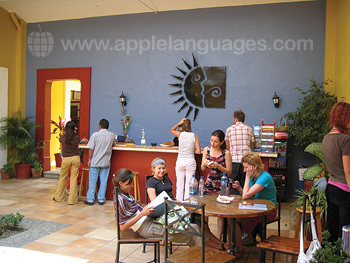 Spanish lessons take place on a Monday to Friday basis (20 lessons per week). 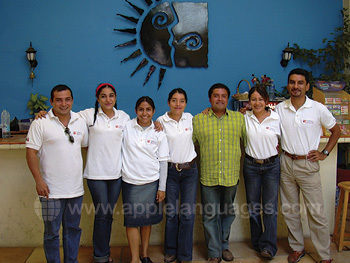 Lessons cover all main aspects of the language, with a special emphasis on oral expression and comprehension. You will receive 6 Salsa lessons each week, which take place Monday-Friday in the afternoons (after 1:00pm). Salsa lessons will be held in the main school building, and full instruction is given by a qualified Salsa teacher!